I really enjoy doing my Currently Loving posts, and after receiving a few new foods lately (and finding some myself!) I figured it would be interesting to start a ‘Currently Tasting’ series, where I post my first impressions on foods I’m trying. I’m always on the hunt for new snacks and it gives me a good excuse, right? 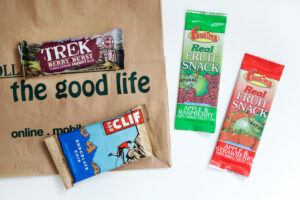 Will include proper food too – not always junk food. (Junk food that is slightly healthier though ;) ha!) I just bought myself some marinated tofu pieces… Never tried tofu before so that’ll be interesting! Will update in the next few weeks on that one. First up – Hippeas*. Made from organic chickpeas, these crisps are vegan, gluten free and a good source of fibre and protein. I didn’t really know what to expect with these, but I was definitely pleased after my first bite! I received four flavours: sweet’n’smokin, in herbs we trust, pepper power and far out fajita. They’re pretty much just massive wotsits, but obviously healthier. They are pretty crunchy though, and don’t melt in your mouth so much. You wouldn’t know they were made from chickpeas. I wouldn’t feel guilty snacking on these every day! 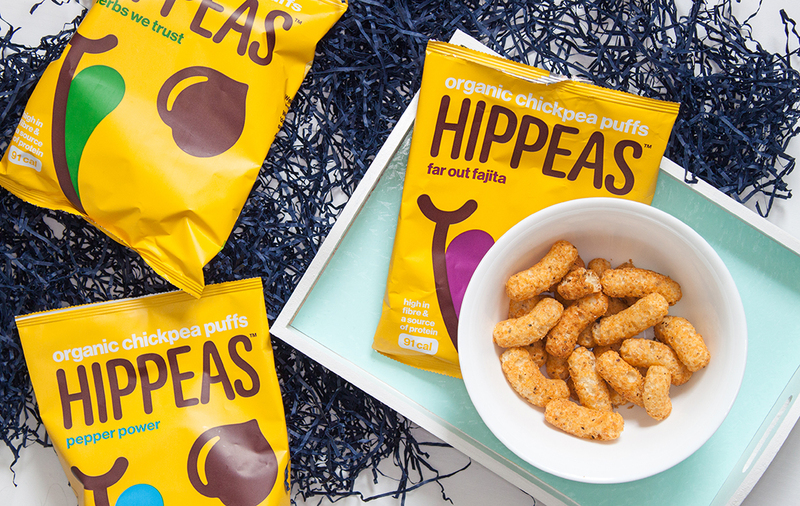 When you open the packets, the smell of the Hippeas is really strong. My favourites were the sweet’n’smokin ones. Can’t beat a bit of BBQ flavouring, right? The far out fajita almost hurt my eyes when I opened it. I was worried because the chilli was so damn strong, but when tasting it was actually quite mellow. Definitely had that bit of spice, but not spicy enough to burn your taste buds and rid of any chance of tasting anything else for the rest of the day. Pepper power packed a little peppery punch. They were also a little salty. Possibly a little too peppery for me to eat the full bag at once, but would be great for sharing snack bowls. I would say the same for the in herbs we trust flavour too. They had a really herby smell, and a savoury taste – it was nice, yet a little strange. I know crisps are generally savoury, but I would say the flavours range from sweet to savoury in the order I’ve mentioned them. The good thing is that whilst the smells are really strong, the actual tastes are not overpowering at all. I found that the Hippeas were pretty filling as a snack, and it’s likely due to the fact that these flavours all have 2.8g or 2.9g of protein in them, which for crisps is really good! They also have minimal sugars and minimal fat so you know, definitely a guilt free snack! I will definitely pick more up. 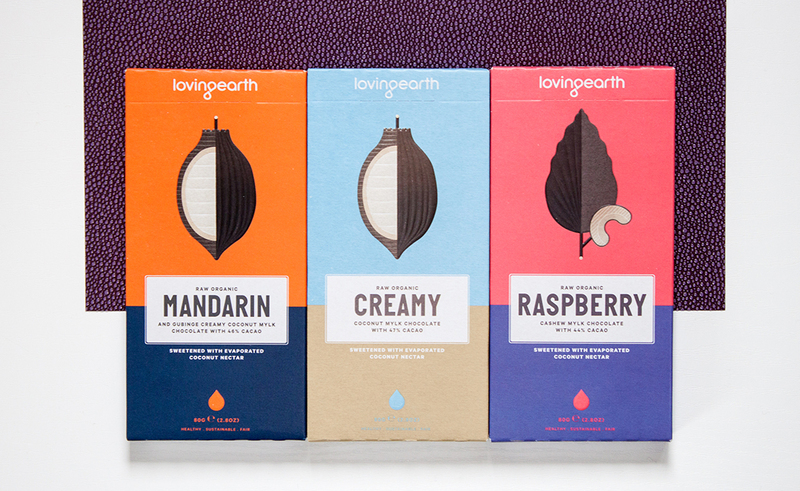 Lovingearth raw organic chocolate* – they’re vegan, cane sugar free, GMO free, gluten free, soy free and dairy free. What more could you ask for eh? These chocolate bars are completely raw – uncooked and unprocessed – meaning all the natural goodness in the cacao beans stays intact. If you could ever have healthy chocolate, raw is the way to go. I’ve never really tried any raw chocolate, and I have to admit that I’m not a huge fan of dark chocolate. I can eat it, and will occasionally choose it but then Dairy Milk… Anyway, the fact that these are vegan really appeal to me because I am trying to cut down on my dairy. First impressions? So creamy, oh so creamy. It’s hard to believe that these don’t have any milk in them. The texture is exactly like regular chocolate, though I would say a lot smoother and more melt-in-the-mouth than other big brands of milk chocolate. Okay, I have to admit that I really did not like the Creamy flavour. 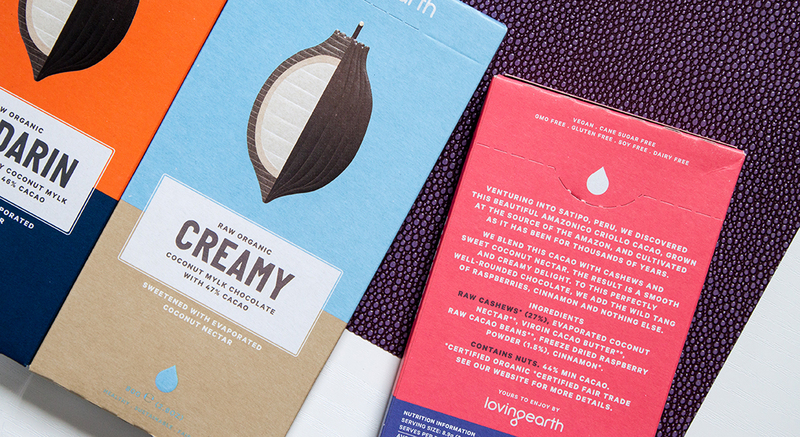 It’s described as coconut mylk chocolate with 47% cacao. I’m not a fan of coconut, at all. This bar was definitely the creamiest, and I mean I only didn’t like it because the main flavour was coconut. Mandarin and Gubinge was edible for me, but this one is still made from coconut mylk (and 46% cacao) so that taste was still quite strong. The mandarin did power through though, and I think you’d love it if you enjoy chocolate orange. My favourite was definitely Raspberry. This one is cashew mylk chocolate with 44% cacao, so obviously didn’t have the coconut taste. The raspberry wasn’t overpowering, yet still strong enough to give the raw chocolate that sweeter bite. As a raw chocolate with no dairy in the ingredients, I was super impressed with the overall flavour of the chocolate and just how melty and smooth it was. There are quite a few different flavours on the website, so I’d definitely be interested in trying more. 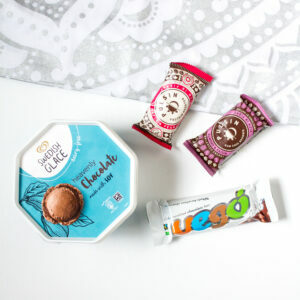 For me personally, the ones with coconut mylk are not the ones to go for, but if you do like coconut you’ll love these! Getting inspired -It’s National Vegetarian Week!